The Team Plain Track Pant combines Canterbury’s commitment to ground-breaking technical sports apparel and classic, quality design. The 100% polyester pant features our original Vaposhield technology, a water-resistant and anti-static finish that keeps you dry and comfortable, whether you’re on the field or heading to the gym for a workout. Adding to the comfort and breathability is the mesh lining, and the adjustable 12” leg zips offer extra freedom of movement, so that you can perform at your very best. 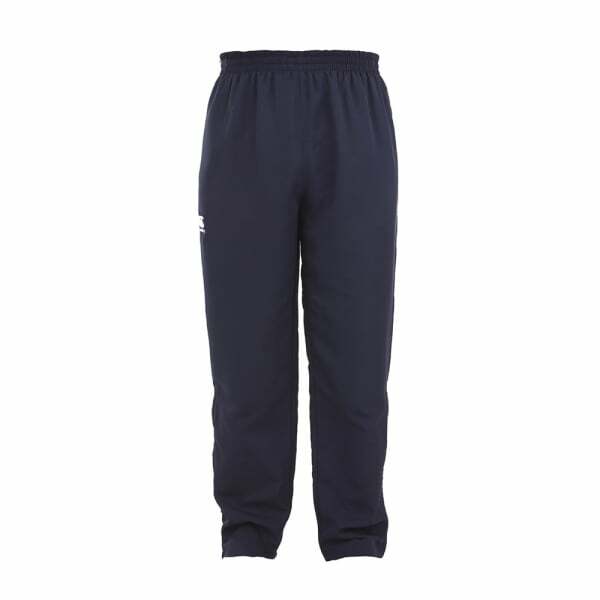 These stylish and versatile all-purpose track pants are designed to last, and they’re certain to become a favourite whether you’re in training with your team or relaxing afterwards with your mates.